Out with the dining table and in with a Stone Island! A multipurpose space. Families are stepping back from the lounge and into the kitchen and an island is a great gathering point! It’s a great place to relax, catch up on each other’s day or have the children do their schoolwork. A big preparation space may help involve the kids with the cooking! For those who like to entertain, an island offers a nice open area for everyone to interact. With an island, you also have the option to chuck some extra bar stools around for additional seating! With so many options, an island acts as a focal point of a room, opening up the whole living space. Fun to accessorise! Starting with your stone, opt for a classic white Marble stone and compliment it with colourful appliances. Or get a statement piece, like a Quartzite or Granite and make it a kitchen feature! 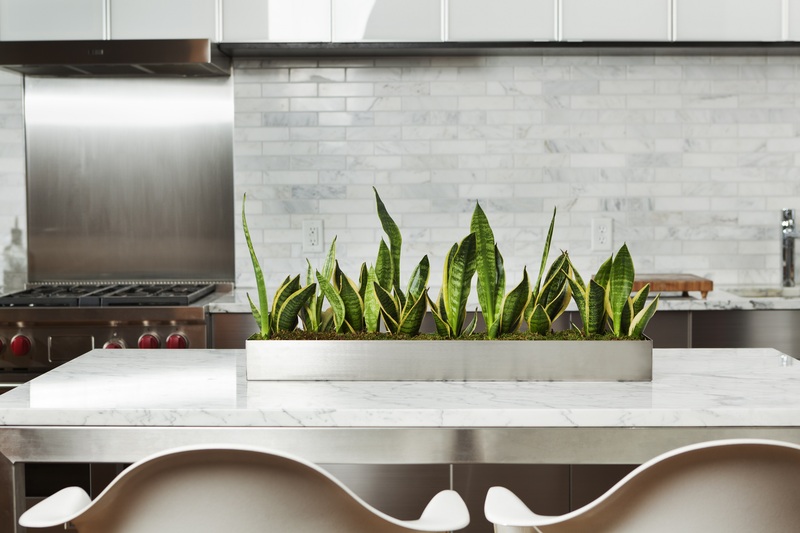 Easily change the mood of your kitchen by swapping out bowls of fruit, for flowers or niche jars. Go big and consider an oversized light fixture, which is becoming a popular design trend. Use the space above the island to hang a row for pots and pants. Add storage and reduce clutter. What more could you want out of a kitchen! Whether you want a sleek, minimalist look or you simply don’t have enough room to put appliances or rubbish bins, you can tuck them all away in drawers and cabinets underneath. Think specifics like cutlery, a wine rack or a space for your bulky pots and pans. In a recent Houzz study, it was noted that 39% of homeowners are adding islands for additional storage, alone. There’s a stone option for everyone. 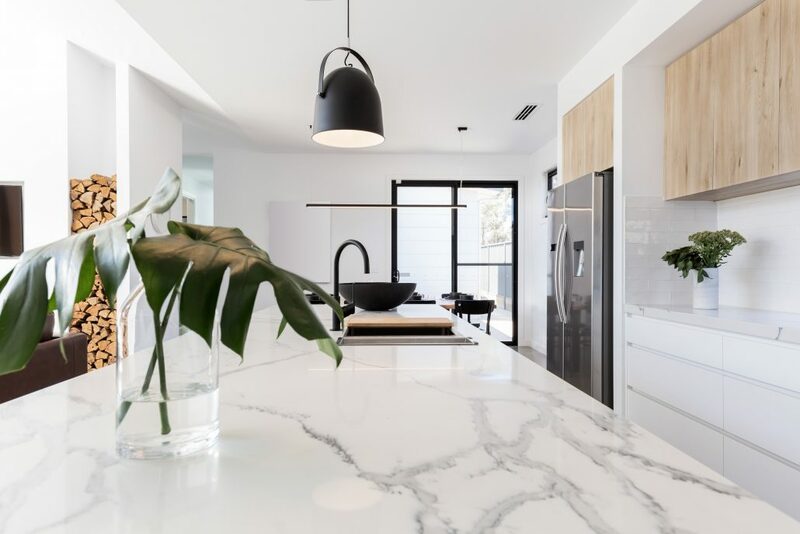 Whether your lifestyle is more suited to a natural stone surface or reconstituted stone, kitchen stone islands can be made out of Marble, Granite, Quartzite, Super White or Trendstone Quartz. If you want a super big island, Trendstone XL slabs are a great option. At 3.4m x 1.9m you can have a seamless surface. These are just a few of many ways that a stone island can increase your kitchen’s functionality. Adding an island truly allows you to take great advantage of the space in your home. Even if you have a small kitchen to work with, added storage and surface area outweigh the concern. Keep in mind, you can always go for a portable kitchen island on wheels, too!